Lil' Wayne hits the reset button on his Cash Money imprint, but with only minor roster changes is it worth the effort? 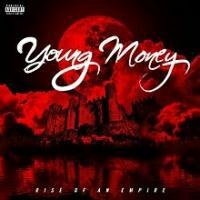 If ever proof was necessary that the more things change, the more they stay the same, here lies a single digital copy of Young Money's latest compilation, Rise of an Empire. Undoubtedly a shameless unofficial tie-in to the 300 sequel released about a week prior, the title also accepts a truth this titanic hip-hop label has been wrestling with constantly in the years since We Are Young Money: Young Money is not a deep roster, and it likely never will be. What Young Money does have compared to, say, Birdman's own Rich Gang compilation, which was released late 2013, is a willingness to trust its gut and go with fresh faces. Child rappers Lil' Chuckee and Short Dawg have been replaced with Euro, a Dominican rapper from Rhode Island who's stolen the spotlight on guest turns twice now since appearing out of the ether on Lil' Wayne's Dedication 5 tape but suffers from familiar bouts of over compensation when he gets his solo turn, the 5:21 strugglefest "Induction Speech". The label is also still admirably invested in Lil' Twist, Gudda Gudda, Flow and Cory Gunz despite overwhelming evidence that it's easy to forget who those guys are on record. It's unfortunate then that a fairly excellent opening set, especially in comparison to the considerable pop rap brain fart of this label's first compilation, is wasted on what inevitably turns out to be another uneven collection of music from one of the most frustrating labels on the planet. The self-evident swagger of "Trophies" has done its damage at this point, but "Senile" is another sneaky attractive Tyga banger, a D.A. Doman production that manages to straddle both ratchet music and dance-trap without wearing clown clothes (though it is, honestly, kind of creepy). Lil' Twist's "Bang" is a solid, propulsive Three-Dudes-on-a-Mission-in-a-Jeep slice of menace that probably sticks around two or three codas too long, anticipating bigger issues with getting out of a track down the tracklist. There's no "Wife Beater" or "Gooder" here, thankfully, it just becomes obvious over the second half of this mixtape that the Young Money experiment is still stretching itself too thin to ever make an album that feels like little more than a spreadsheet of constants re-arranged into vaguely new contexts. Shannell and Chanel West Coast (I had to look her up, too - she was a secretary/cast member on a Rob Dyrdek MTV show for many years) team up for the bombastic teen-pop song, but it's called "Hittin' Like" and goes about things how you'd expect. When Lil' Twist and Lil' Chuckee did the same with "Girl I Got You", granted they were like 15 and both of these girls are in their 20s, but it was one of the few pace changes that felt charming on the first Young Money release. Here it's just a bit of a soulless decision to include a pop song because the rap label compilation's been rapping for too long. Other songs are good or bad just because of who's rapping on them. "One Time", for example, is helmed by Lil' Twist, Tyga and YG, a trio of rappers who've all faced their fair share of criticism for looking and sounding odd. Others love those idiosyncrasies, and pairing those three on a surprisingly funky island jam from Jess Jackson and the Runners works for me; others are going to listen to these guys rap and lament it wasn't an E-40/Too $hort/Snoop Dogg collab. "Fresher Than Ever" is the sort of straight raw battle rap you'd expect to hear on a D-Block release featuring none of your favorite battle rappers, giving it a certain street corner charm that's either kind of cute or entirely repulsive. Perhaps more importantly, it's seven minutes long (without a verse from Lil' Wayne, Drake, Nicki Minaj or Tyga to be found) over an Olympicks beat that may very well have fallen out of a folder marked "Beats 4 Trilla". Rise of an Empire is likely only a bit of a disappointment because it opens so strongly and refuses to become outright terrible. I can't deny that I came to this album partially in hopes of witnessing another train wreck. But it's also undoubtedly a reboot, an admittance that this label is a bit stuck in the mud without its all-stars at the top. That Birdman is still a bigger deal than any of the young guys with Young Money is a bit shocking, and this compilation doesn't make much of a case for that changing any time in the next five years, either. But at least this label showcase is content to be workmanlike with fleeting moments of greatness, which is perhaps the most identifiable change between the Young Money of five years ago and the Young Money of now. They're less the Steve-O of pop rap now, more the Johnny Knoxville.